It is clear that Deus Ex: Mankind Divided, a sequel to 2011’s Deus Ex: Human Revolution, is certainly one of the most eagerly awaited video games of 2016. After all, Human Revolution was something of a masterpiece, with a great story that had players unravelling a global conspiracy in a dark sci-fi world. And that game’s strong point was its emphasis on choice, as the player could resort to combat, hacking, stealth or his silver tongue to get out of sticky situations. And perhaps inspired by Deus Ex: Human Revolution’s focus on choice, sequel publisher Square Enix also wanted to offer gamers plenty of choice when it came to pre-ordering the game. So they came up with the convoluted “Augment Your Pre-Order” program, which divided pre-order incentives into a series of tiers. Tier 1 would unlock automatically, while the other tiers would become available to those who pre-ordered based on the total number of wordwide pre-orders of the game. In essence, Square Enix had turned pre-ordering Deus Ex: Mankind Divided into a game, and perhaps one that wasn’t that much fun either. For instance, Tier 2 made gamers choose between a digital art book or a soundtrack sample. But what if you were interested in both extras? And even more ludicrously, when Tier 4 of the pre-order structure was unlocked, those who had pre-ordered the game would get it 4 days before the official release date. And regarding Deus Ex: Mankind Divided, it was recently revealed that players would not be able to talk bosses to death in the game, that words alone would not be enough to resolve boss encounters. But in the real world, and when dealing with large publishers like Square Enix, a little verbal abuse has seemed to do the trick, as the Japanese publisher has decided to can the “Augment Your Pre-Order” program. In a statement issued on the Deus Ex website, they stated that the program had been cancelled due to the “resounding amount of negative feedback”. So those who pre-order Deus Ex: Mankind Divided can now rest peacefully in the knowledge that they will get all of the pre-order incentives when the game is released in February next year. 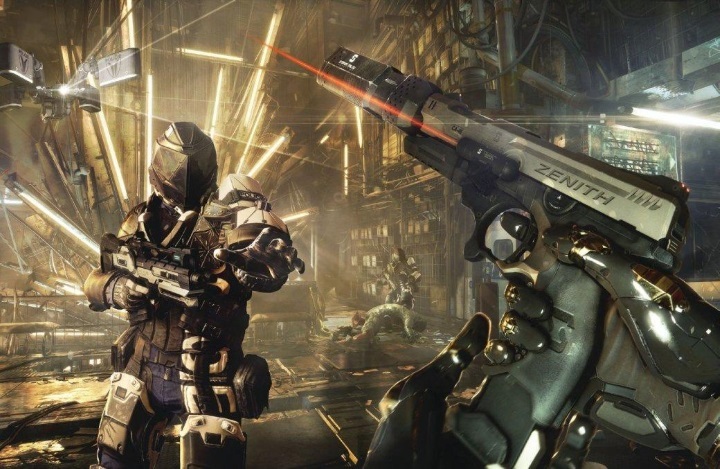 Note: Deus Ex: Mankind Divided will be released on February 23, 2016. The game will be available on PS4, Xbox One and PC. Next: Will Rising Tide Turn Civilization: Beyond Earth into a Great Strategy Game? Will Rising Tide Turn Civilization: Beyond Earth into a Great Strategy Game?